Categories: A, Taj Brands. 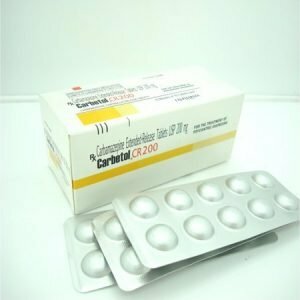 Tags: A, ascites, hepatorenal syndrome, hyperbilirubinemia, hypoalbuminemia, hypovolemia, liver cirrhosis, spontaneous bacterial peritonitis, subarachnoid hemorrhage. AIZEN ® is a solution for infusion (into a vein). 100ml solution contains 20 g human plasma protein of which at least 95% is human albumin. 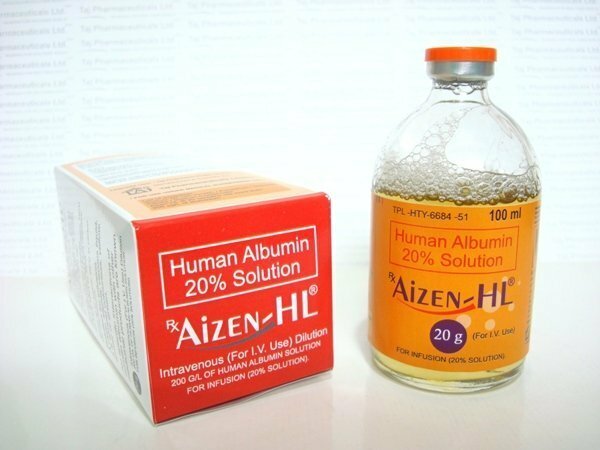 AIZEN ® is used to restore and maintain circulating blood volume where there is a low blood volume and the use of a colloid, such as albumin, is required. 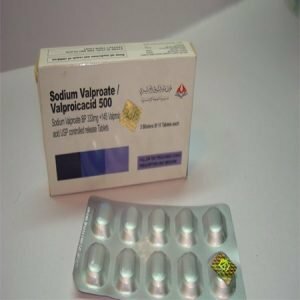 you are allergic (hypersensitive) to albumin preparations or to any of the other ingredients (these are listed in section 6 of this leaflet). Suspicion of allergic or anaphylactic type reactions requires immediate stopping of the injection. In case of shock, standard medical treatment for shock should be applied. When medicines are made from human blood or plasma, certain measures are put in place to prevent infections being passed on to patients. These include careful selection of blood and plasma donors to make sure those at risk of carrying infections are excluded, and the testing of each donation and pools of plasma for signs of virus/infections. Manufacturers of these products also include steps in the processing of the blood or plasma that can inactivate or remove viruses. Despite these measures, when medicines prepared from human blood or plasma are administered, the possibility of passing on infection cannot be totally excluded. This also applies to any unknown or emerging viruses or other types of infections. There are no reports of virus infections with albumin manufactured to European Pharmacopoeia specifications by established processes. 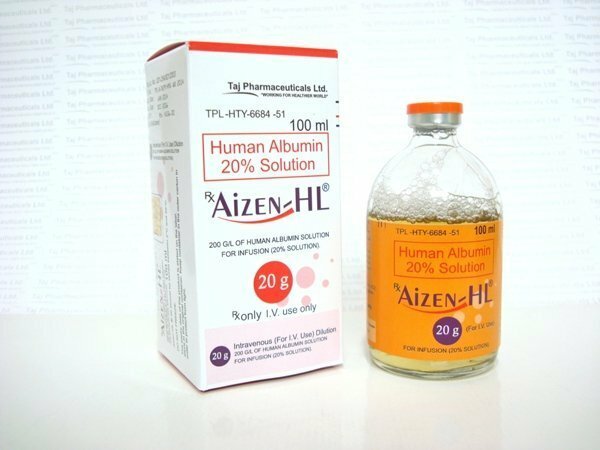 It is strongly recommended that every time you receive a dose of AIZEN ® the name and batch number of the product are recorded in order to maintain a record of the batches used. Please tell your doctor if you are taking, or have recently taken, any other medicines including any that you may have bought without a prescription from a chemist or supermarket. If you are pregnant, planning a family, or breast-feeding ask your doctor or pharmacist for advice before taking any medicine. If you have already told your doctor then follow any instructions that may have been given to you. AIZEN ® has no known effects on the ability to drive or use machines. 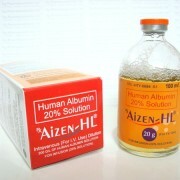 AIZEN ® treatment will usually be given in hospital by a doctor or a nurse. Human albumin can be given directly into a vein or diluted in 0.9% sodium chloride. The amount of AIZEN ® you receive depends on your size, the illness, and on fluid or protein losses. Your doctor will calculate the dose of AIZEN ® and how often you will receive it to obtain the correct levels in your blood. This is very unlikely but your doctor will know what to do if this happens.If you have any further questions on the use of the product, ask your doctor or pharmacist. Like all medicines, AIZEN ® can cause side effects although not everybody gets them. Very rarely, severe reactions such as shock may occur. If this happens the infusion will be stopped and the appropriate treatment will be started. AIZEN ® should be kept in the outer carton to protect it from light. 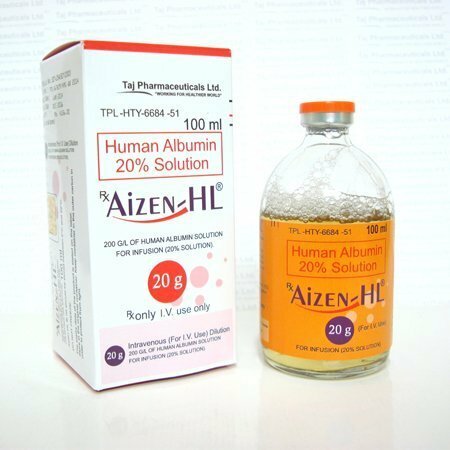 AIZEN ® should not be stored above 25ºC. Do not freeze. Keep out of the reach and sight of children. 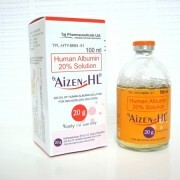 Do not use AIZEN ® after the expiry date which is stated on label and outer carton. The expiry date refers to the last day of that month. The product, once opened, should be used immediately. Immediately before administration, check that the solution is clear. The product must not be used if any cloudiness or particles are visible. Each vial with 100 ml solution contains 20 g of human plasma protein. Each vial with 100 ml solution contains 20 g of human plasma protein.